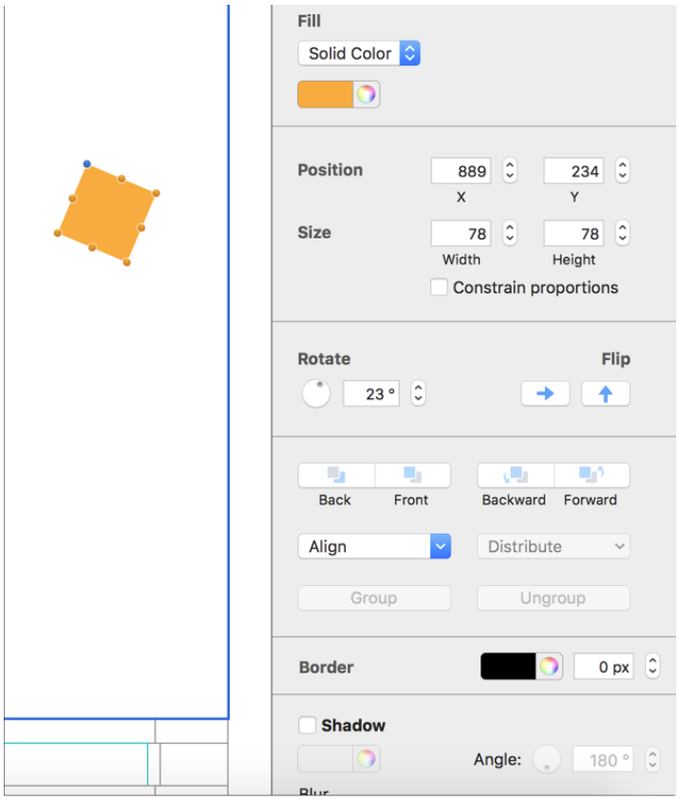 Changing the position and size of elements by dragging the element’s resize controls is perfect for many situations. However, sometimes, you want to be as precise as possible. With Mail Designer 365, you can change size, position or rotation by entering a precise value. When you select a shape, image or button, you will find all options for this element on the left sidebar. You can now enter a precise value for each field.